Star Wars completist? Or do you like to draw a little more attention to yourself than most? 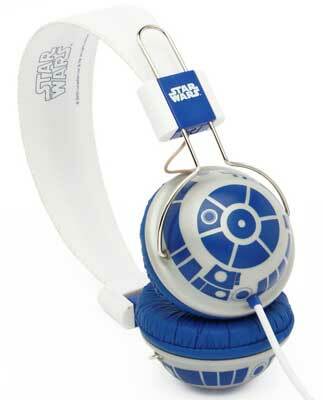 Then you could look to the R2-D2 headphones for your private listening pleasure. The headband is adjustable, and can be folded up for easier storage.There’s also an in-line remote control and microphone. have an RRP of £44.99, but can be purchased from the Amazon UK store for around the £35 mark. Others in the series include Boba Fett, Rebel Alliance and Stormtrooper headphones.